Is a Lack of Financial Literacy Causing Student Loan Trouble? 1. What got you interested in music/managing? And how did you start? I always liked music for it’s accessibility. I think the development of bands is the most facisinating to me. When I was about 14 or 15, my friends were in bands and were looking for shows. I put on smaller ones in the suburbs and I really enjoyed doing it. I hung out with my friends at their shows and met other bands and other people in the industry. A few years later I decided to push myself to make it a career. When I was about 21, I started booking shows downtown and became friends with a good amount of people in the industry. After talking about running my own company for a while, I finally opened “alley capital” earlier this month. 2. How did the bands start? How were you a part? I manage Republic of Lights and Finding Valor right now. I don’t know how those bands started. I met Greg (republic) back in high school. Republic of Lights started to solidify as I was starting to make a name for myself. They are good friends of mine now and me being their manager just worked itself out. Finding Valor is a younger band I took on because of their potential. They are from Villa Park, where i grew up. The best part of the job is seeing people come out to the shows and have a great time. Whenever the band mentions my name on stage as a thank you, it puts a huge smile on my face. All the work pays off when both the bands and fans have a great night. The worst part is the promotion process. Clicking individual names on facebook event invites is really mundane and boring. 4 What are your favorite bands, genres, etc.? I really like the indie rock bands. Right now I am listening to Phoenix, City and Colour, As Tall As Lions and FUN. My favorite locals right now are; republic of lights, audiences, milano, stay ahead of the weather and the deserters. 6. What advice do you give to people that might be interested in going in this direction? Music, management, business? My only advice really is to be friendly and meet as many people as you can. Making it in the music industry is all about networking. Don’t expect on being top 5 in a year. Making it in the music business is extremely hard. There’s a ton of competition. Also, research the bands you want to work with. Little things like that will definately help. You can check out Alley Capital with more info on gigs and shows that Matt is organizing around Chicago. Here’s a bit of the bands from the last show that you can check out. Today I just got back from DFTBA Records. I was helping pack John Green’s audio book: The Fault in Our Stars. Never in a million years did I think that online communities will have such an impact in my life… Yet, there I was at DFTBA Records, helping pack things with fellow nerdfighters. I cannot say how much I appreciate and love the Nerdfighter community. I began watching Vlogbrothers two years ago, I loved Youtube Vloggers and creatives. Yes, I tried making videos in 2008 (awful embarrassing ones) but I just watched from afar later on. I watched the regular Charlieissocoollike, KevJumba, WheezyWaiter… But then I read Alan Lastufka’s book about Youtube. It got me motivated to start vlogging again. I started getting more and more into Nerdfighteria, needless to say I wanted to meet some people that were interested in the same things. So… I organized a Nerdfighter Gathering. The rest is kind of history. There have been many gatherings since, the Chicago Nerdfighter Facebook page is growing and full of awesome people. Communities come in all shapes and sizes, and this is one of the biggest communities I am in. And I love it! The BellaVie Zine: Issue #3 is Out! 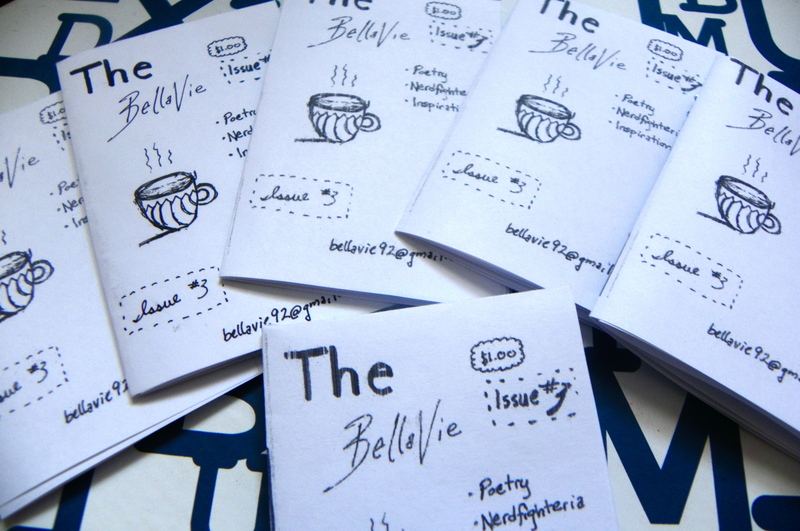 I just finished making my final copies of the latest BellaVie Zine. I did finish the original draft last Sunday but, let’s just say, my printer kersploded. Immediately when printing out something it would create a paper jam. 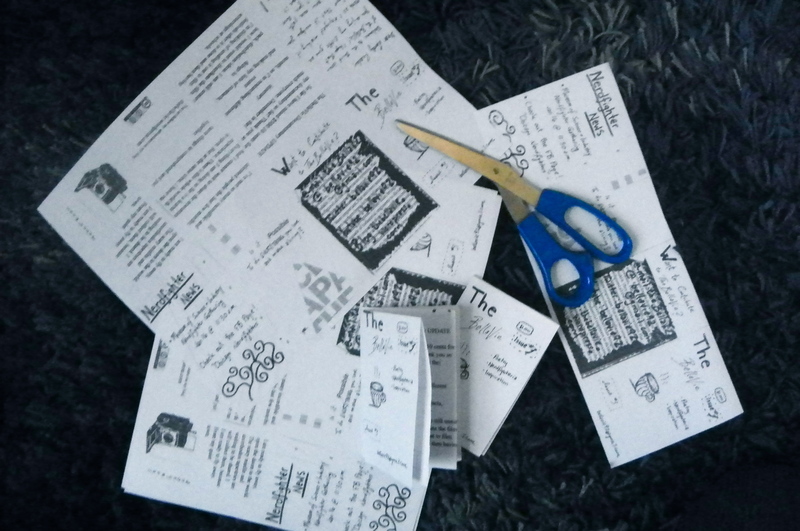 Alas, it has been fixed so I can make zine copies. How was your holiday weekend? I hope that you had a wonderful time with friends and close family. I spent the morning opening presents from friends and family. I got 1.5 TB of space on an external memory drive! It’s what I needed and was saving up for for The BellaVie Project Documentary. Speaking of the documentary, I have some thoughts written up in this zine sharing my thoughts on this great ride from 2011. All of the resources I have found, the people I have met… I feel blessed and grateful to have met them and also contributed to their lives, just as they have in my life. Leave me a comment about how you spent your holiday, what are you thankful for, and what you are looking forward to in the new year. I mentioned in a previous post how what media you take in really matters. Well, today’s specific focus is on your environment. What are some of your goals? Do you want to be a writer? Painter? Business person? What makes you fall into this as naturally as possible? Your environment. I came across a great article entitled You are the Average of the 5 People You Spend the Most Time With. It really struck a chord with me, because I moved around throughout my childhood – 6 times total… yup – and I always had a different friend group in every new school or social community. I made some friendships and broke off some that I felt were not healthy. I still spread myself around to everyone, but within my tight group of friends we support each other. We share our projects and goals and offer resources for each other. How about you? Your environment has a big impact on how you view yourself and others. 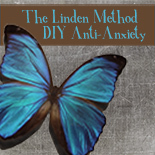 Is your friend group supportive and able to create the space to be your true self? Find those people and contribute to them. They will most certainly contribute to you. Hope you are all living a Bella Vie! I attended the Chicago Renegade Craft Fair this summer and thought it was amazing, you can see the little video I made of the event here. So tomorrow I will be going to the Holiday Renegade Fair! I cannot wait to see all of the Indie and DIY artists with their work. There’s also going to be a zine-making workshop, CHIRP Radio, and some yummy local food vendors. Luckily, it’s partially indoors at Pulaski Park Fieldhouse. It’s so Chicago isn’t it? Right on Pulaski! So anyway, if you feel up to it and want to support some local talented creatives you should definitely come. It’s literally like a Live Etsy Chicago event! And speaking of creative individuals. 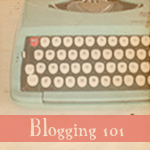 I have discovered (with the help of Hope Alcocer, the Editor of KHLOE) an amazing resource for freelancers. 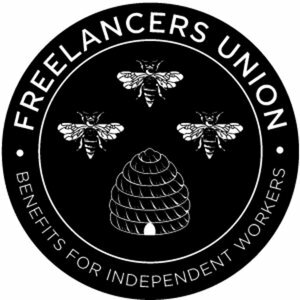 Membership is free, there are networking opportunities, and job listings as well at the http://www.freelancersunion.org/ . I just registered today, yes it is another network – but an amazing resource at that. I thought that it would be a great resources for anyone that wants to go out and freelance. Note: If you would like to be part of a documentary talking about your story and how online communities have helped you check out this video made by fellow Nerdfighter Amudha Venugopalan! I remember middle school and high school. I kind of remember not exactly fitting in, but somewhere along that time,I learned to settle. And I learned to inhibit my nerdy quirks and interests. Being intellectually curious was not really “cool.” And yes, I succumbed to the Etnies skater shoes, hoodies, and wearing Aeropostale (I never liked Abercrombie & Fitch… I held my ground on that one aspect of clothing). But then I had a new start, new school (I switched schools about 6 times because we moved a lot), so why not a new me? At this time in 6th grade I was obsessed with Lemony Snicket’s Series of Unfortunate Events. However the other kids were already breaking up with their boyfriends and talking about the next dance. Not that I wasn’t curious about that aspect of life, it just wasnot a priority of mine. I preferred having a countdown to “The Grim Grotto” in my Locker rather than a picture of (who was big when I was in 6th grade? )… Usher. But how did I gain that final push to be proud of who I really am? The Vlogbrothers celebrated nerdiness, intellectual curiosity, and general awesomeness. I began watching their videos religiously and started to get more and more involved with the community that is Nerdfighteria. I loved this community so much that I wanted to meet these people in real life. So, being the small Youtuber that I was I organized a Nerdfighter Gathering in Chicago on July 22,2011 at 2:22 p.m. inviting Chicago Nerdfighters to meet up. s the Vlogbrothers say. And do not settle for what you have, if you feel alone or people are bullying you or just don’t understand your love of Doctor Who… It will get better, and keep on sharing your intellectual curiosity.